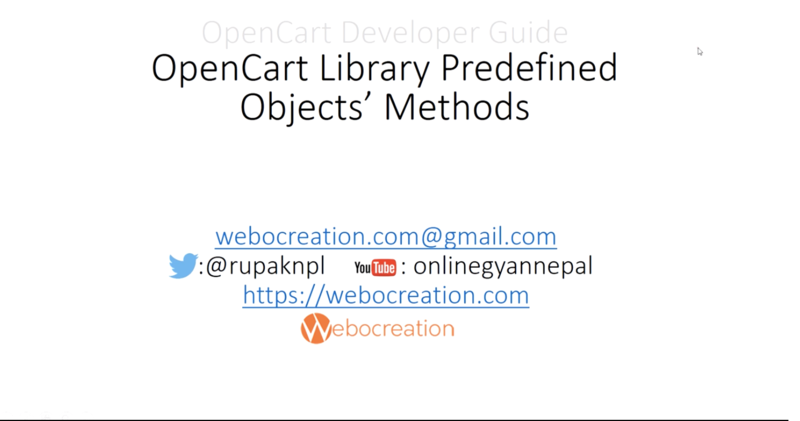 In this #OpenCart tutorial we list out OpenCart Library Predefined Objects’ Methods which helps on module/extension development and coding. Predefined objects’ methods are functionalities which are already defined and you can use it directly. It prevents from DRY, which means Don't Repeat Yourself. Don’t write code unless you have to. Write code only what you need, if you missed these predefined objects’ methods then you may repeat codes.